British actress Olivia Colman seemed genuinely gobsmacked at the thought she had just won the Best Actress Oscar for her role as Queen Anne in The Favourite. 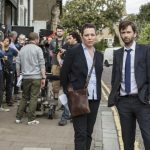 Best known so far for her brilliant efforts alongside David Tennant as DS Ellie Miller in Broadchurch and in the television adaptation of the John le Carré novel, The Night Manager, Colman beat out Glenn Close – who had widely been considered as the favorite for her role in The Wife – Lady Gaga (A Star is Born), Yalitza Aparicio (Roma) and Melissa McCarthy (Can You Ever Forgive Me?) for the top prize. 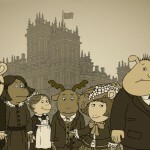 Public television audiences may also be familiar with Colman for her comedic roles in Rev, opposite Tom Hollander, and Twenty Twelve, for which she won the BAFTA for Best Female Comedy Performance as the assistant to Ian Fletcher (Hugh Bonneville), head of the fictional Olympic Deliverance Commission (ODC), the body tasked to organize the 2012 London Summer Olympics. In the more immediate future, Colman can be seen in the BBC/PBS television adaptation of Les Misérables, based on the French historical novel of the same name by Victor Hugo. 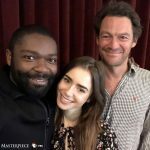 The six-part series, adapted by Andrew Davies (Vanity Fair, Pride and Prejudice, Middlemarch, War & Peace) also stars Dominic West, David Oyelowo, Lily Collins and Derek Jacobi. Les Misérables begins Sunday, April 14 at 9pET/8pCT on PBS’ Masterpiece series. 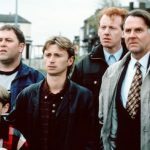 Almost legal, ‘The Full Monty’ turns 20! 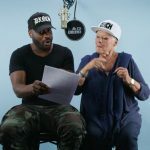 Lethal Bizzle teaches Dame Judi Dench how to rap … no, really!